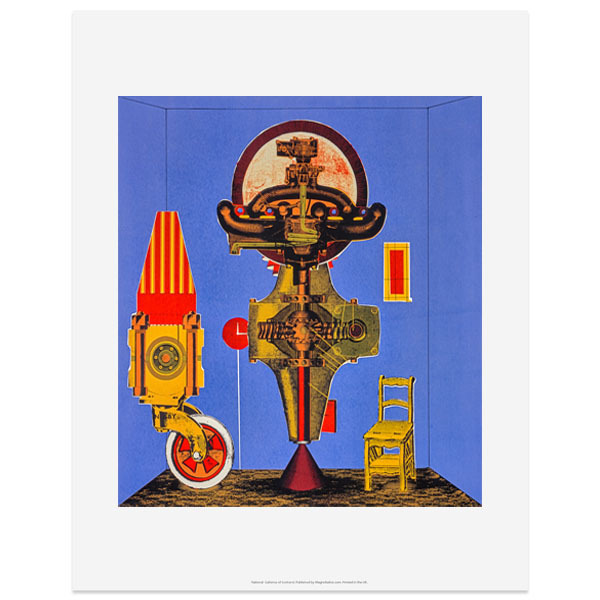 Colourful art print featuring the artwork Metalization of a Dream by Eduardo Paolozzi. On show as part of the Andy Warhol and Eduardo Paolozzi | I want to be a machine exhibition at the Scottish National Gallery of Modern Art. Eduardo Paolozzi Metalization of a Dream 1963 © Trustees of the Paolozzi Foundation, Licensed by DACS 2018.